One of my subscribed Yahoo Groups sent in a set of clever tips that can resolve most of our household problems (thanks to Ms. Chona Gana). They're simple but perhaps, just like me, you haven't really thought of these ingenious ways to go about several things. Most of these helpful items are also found within the comforts of our home. Use a (clean) dustpan to fill a container that doesn’t fit in the sink. 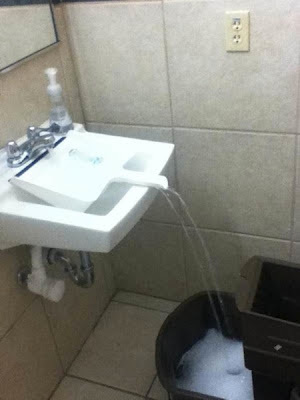 I'm sure you had times when you wanted to fill in a pail with water, but the size of the container just wouldn't fit. Instead of using a water dipper, simply detach the bottom part of your dustpan and use like how it was used in the picture. 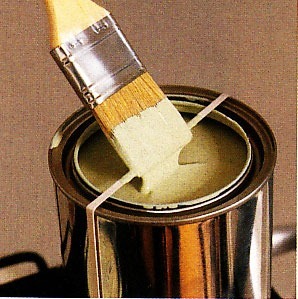 Lace a rubber band around an open paint can to wipe your brush on. If you're like me who's obsessive compulsive and doesn't want to see a messy paint can after painting, simply get a huge rubber band to keep the paint dripping onto the center and therefore keeping the paint off the side of the can. Use a staple remover to save your fingernails when trying to add things to your key ring. Staple removers aren't just for removing staple wires. 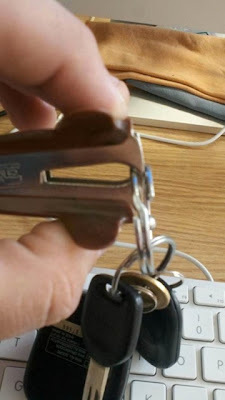 It can also help us save our fingernails from hurt by holding the key ring as we add or remove keys. Put wooden spoon across boiling pot of water to keep from boiling over. 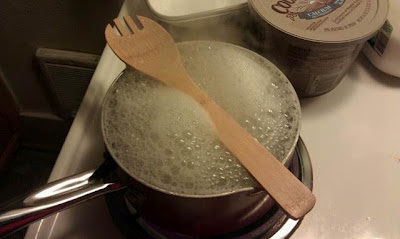 I really didn't know that putting a wooden spatula on a boiling pot of water can save it from boiling over. This is surely helpful to those who doesn't want their kitchen to get messy, as well as preventing hurt from hot water. 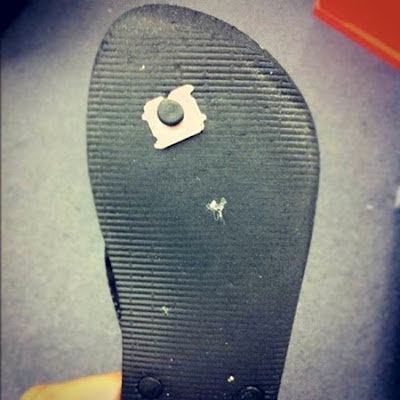 Use bread clips to save flip-flops with split holes. This is really ingenious! If I had known this before, I could have saved myself from shame of having a weak flip flops. Especially during rainy season when the slippers would be stuck on mud or rain, this tip is a must do. 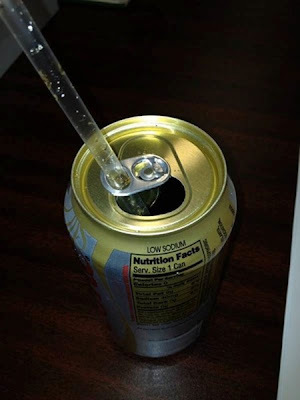 Insert the straw in the can's flap opener. It irritates me when my straw keeps on rising out of the soda can. Now I know what to do next time! 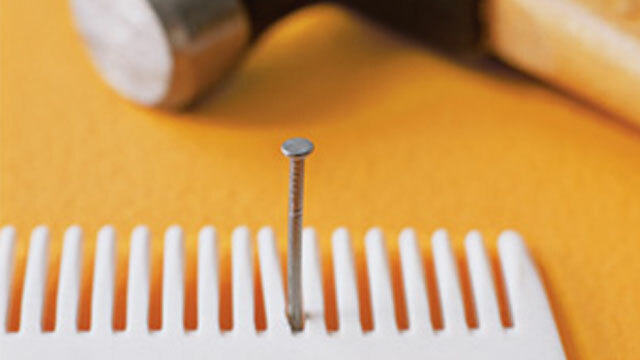 Use a comb to keep a nail steady for hammering. For amateurs at doing construction work, choose an old comb that you no longer use and utilize it to make your nail hammering like a pro! 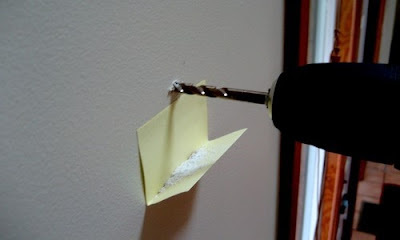 Stick a post it note to catch drilling debris. Another one for construction work, having a post it note stuck on the wall as you do the drilling can save you from having the need to get a broom to sweep the dirt. Definitely a time and effort saver. Do you have any other tips in mind? Tweet me a picture and a short description and I'll include it here with your name. It's @GlennOng. hello, where can i find / buy those large rubber bands? thanks and great tips. nice tips glen. pang lifehacker. Nyahaha! Don't forget to share the link, pops! Hope to see you soon! Quite interesting tips. One of the best thing which I liked about this post is that they are simple and can be used for basic things. Thanks for sharing it here. Agree with you :) What's your favorite? Let me know if you have something to add. I like the rubber band around an open paint and bread clips to save flip-flops with split holes, never thought about it. thankss. This is smart! :) thanks for sharing Glenn.